Want to shop early? Earn a higher percentage of your sales? 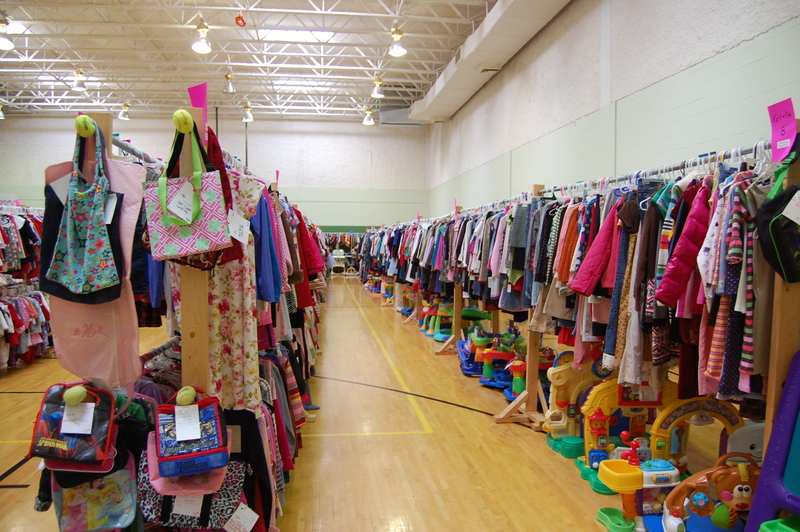 Volunteers get to shop before the general public and you will be getting first pick from the best of the best. Volunteer shopping will be Monday, March 11th. Plus, volunteers earn an extra 5% of their sales – making your total 70%! Some people volunteer to shop early and some want to make more cash … you get BOTH when volunteering at Munchkin Market. Four hour working shifts are fun and easy! These shifts are during drop off before the sale, during the sale, or help close out the end of sale. You can pick one or four shifts to get in the door first! Snack/Supply shifts are available one per volunteer who want a DOUBLE Pre-Sale pass. To receive a DOUBLE PASS, you must work one 4 hour shift in addition to signing up for ONE snack/supply shift. Please note that you do not have to do a snack shift this is just for volunteers who want to get an extra shift in without putting in the extra hours. Table shifts (bringing tables) counts just like a snack shift. You can only have one of these plus one or more working shift. This is an easy way to bump up your shopping time but the manpower is what we really need to make our sale work. Monday, March 11th from 11:00 – 3:00 then you must just be a single shift volunteer. Otherwise your “shopping” time would be at the same time as your volunteering. You could volunteer until 3:00 then you would get to shop at 3:00. Sign your husband up to work one of the designated husband shifts and earn a volunteer pass for you! People who volunteer Saturday afternoon will help us sort out the clothes for pickup on Sunday. If you sign up for this shift you will get a DOUBLE shift presale pass. The sorter time is from 3 until. You may be there 5 hours or it might be 7 it just depends on how much stuff we have to sort. If we have enough people volunteer at this time slot we could get done quickly. Failure to show up for your shift without notice to us will result in a loss of $40 out of profit check so we can hire someone to fill your shift. Also, volunteers who do not show up will be blocked to volunteer for the next sale. To shop the volunteer presale on Monday, you need to pick up your volunteer presale pass when you drop off your items. We will have the passes available during consignor drop off times. Volunteers will get to shop the best of the best! Only one person per volunteer and consignor pass – no husbands, mothers, children, etc. will be permitted to attend the volunteer or consignor presale without a pass. Consignors who do not volunteer will receive one pass for the consignor presale that begins at 5 PM on Monday . Volunteers will also get a “consignor” pass to come back and shop or give to someone. However, this pass will be at 6:00 PM on Monday. Due to limited space please no babies, children or strollers during any presales. There are no exceptions to this policy. We will open to the public Wednesday, March 13th and babies, children and strollers will be allowed when open to public.